Here at SALTechips we aim to offer our eclectic customers a thoroughly memorable experience through our unique, high quality and exclusive products. Our products are proudly prepared in the United Kingdom and Australia, where we are based. Simon Law – Co-founder & Cook! Simon was born in Melbourne, Australia where he grew up tinkering with electronics and computers. After gaining a certificate in electronics after high school, he then worked in IT for 10 years, 6 of those years working in the UK. A change in direction then took him home to study audio engineering and also started the love of glowing nixie tubes. Continuing to embrace his inner geek with electronic products and projects, he also enjoys playing around with website development, photography and the odd bit of TV while enjoying a bowl of popcorn. Alex Tsekenis – Co-founder & Cook! Alex was born in Athens, Greece and moved to the Manchester, UK to study Electronic Engineering. He then embarked on an Engineering Doctorate research programme with elements of Enterprise Management. During this time he has been involved in a number of consultancy projects. A picture-straightener by nature, his values are reflected in our products. He finds refuge from the research and design in mountain hiking trips, always carrying his soldering iron and packing Serrano ham sandwiches. 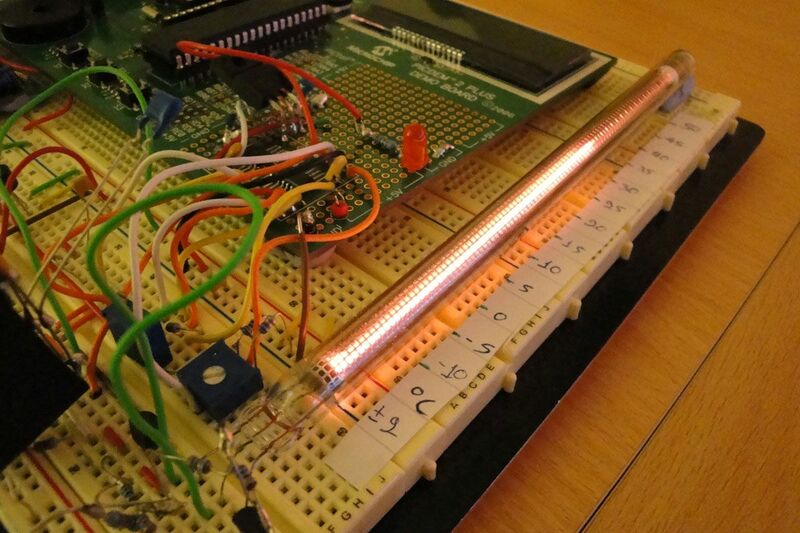 In October 2009 Alex was experimenting with obsolete neon display technology, ‘nixie’ tubes. One such tube reminded him of old alcohol thermometers, so he decided to build an analogue thermometer around it (see picture). Feeling that his idea was novel, he performed an Internet search only to discover that Simon had assembled the same concept independently. Recognising the weaknesses of the analogue version, Alex contacted Simon coining the idea of working together on a digital version. Driven by our desire to share our passion, and not being impeded by the physical distance in excess of 17.000 km, we agreed to collaborate and SALTechips was born. Being enthusiasts ourselves, we could not do without serving the modern ‘maker’ with kit sauced versions of selected products. We are looking forward to hearing from you soon and hope you enjoy our products as much as we did developing them.